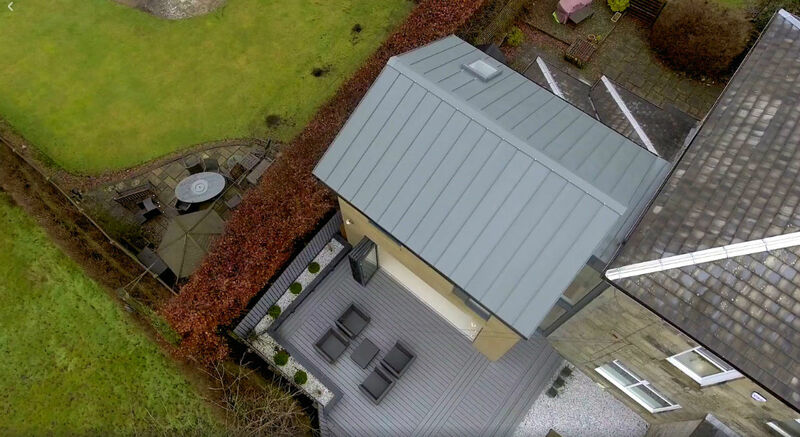 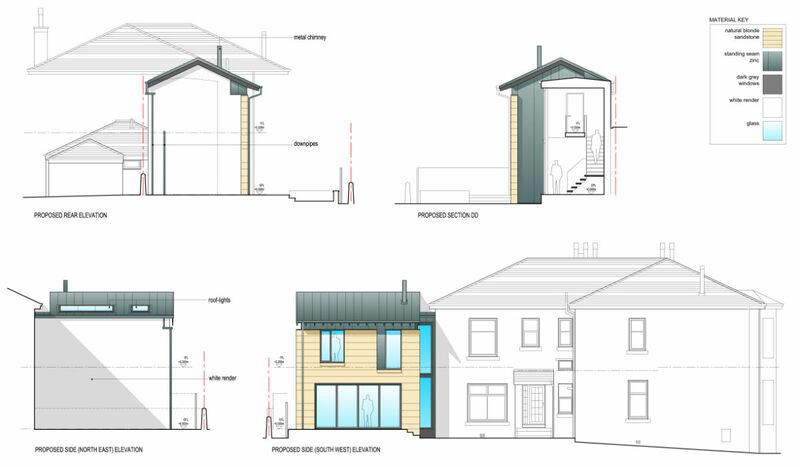 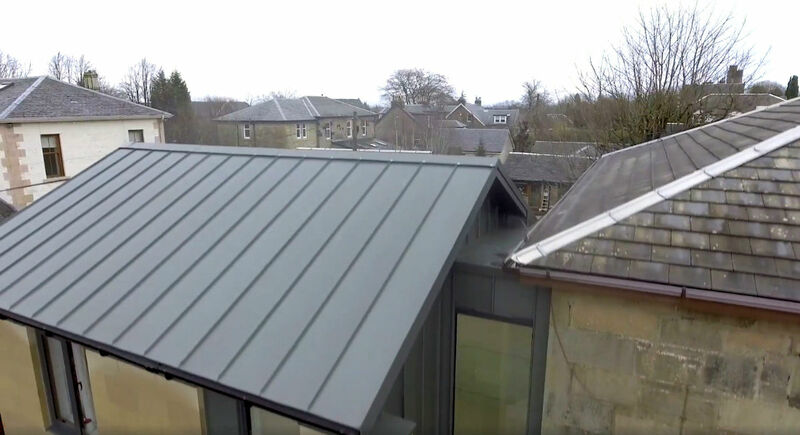 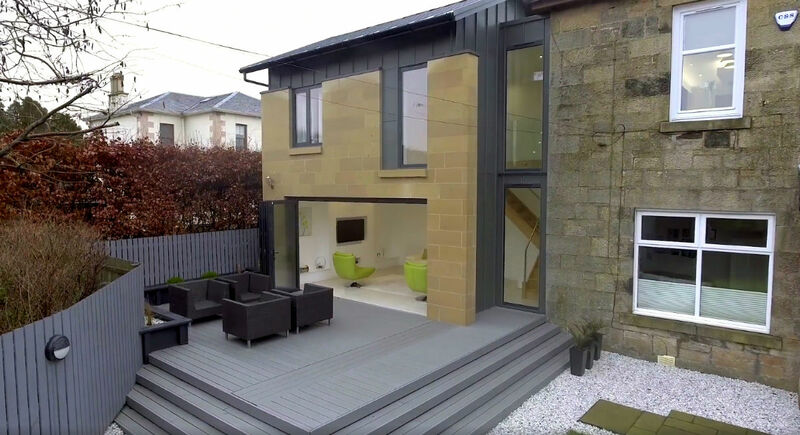 Our client presented us with the challenging brief of designing an extension which connected their upper conversion property in Lenzie to their currently disconnected garden below. 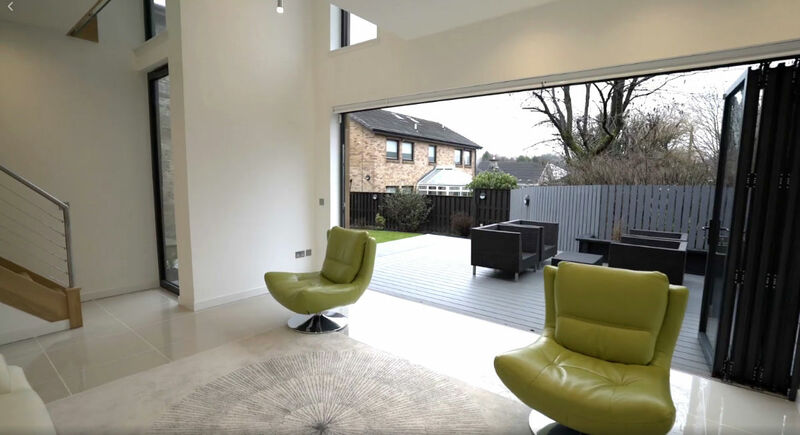 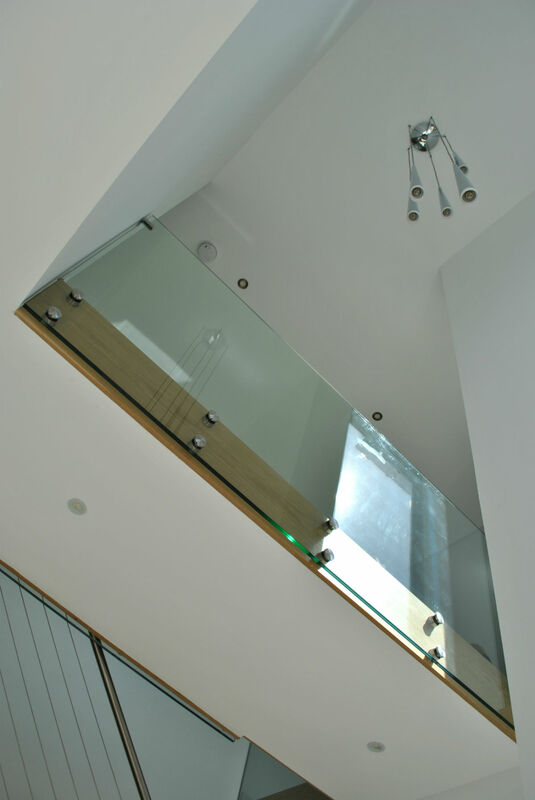 Our solution was to create a 2 storey side extension connected to the existing house by way of upper level ‘bridge’ and internal stair. 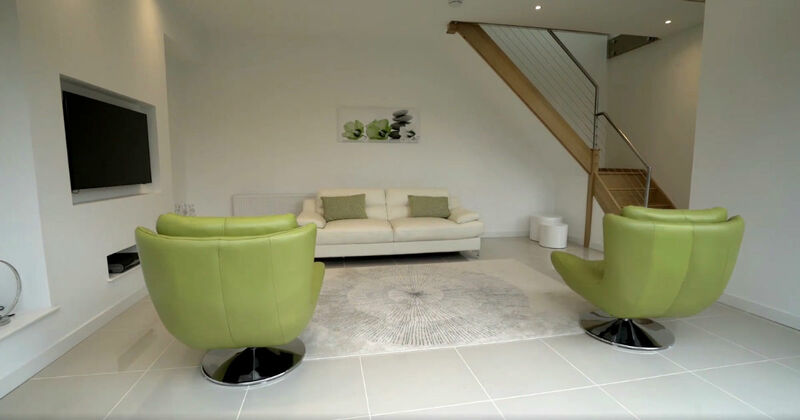 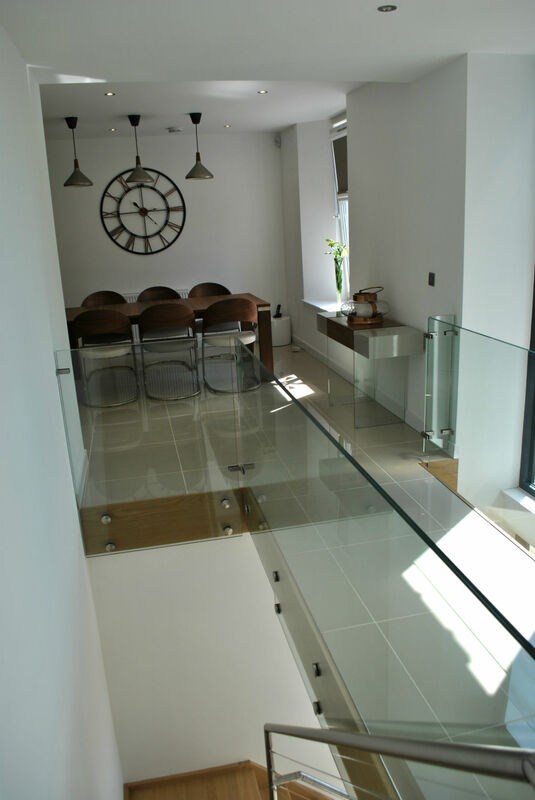 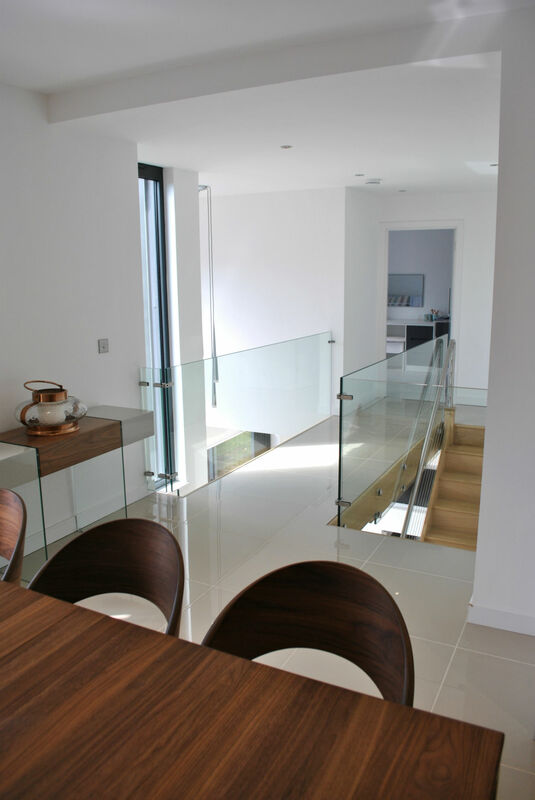 Existing internal accommodation was rearranged and a new bedroom was provided on the upper level. 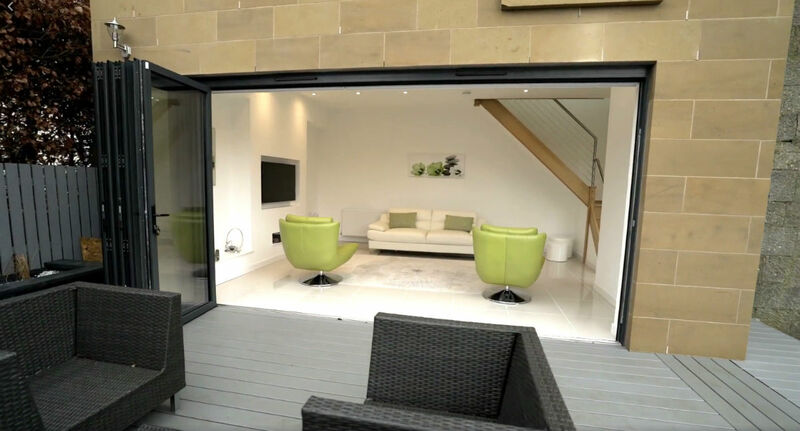 At garden level, a new living space was created with full width bi-folding doors.